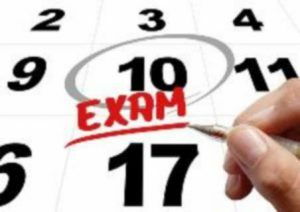 Without a doubt, April 2017 is going to be an interesting month for CPA candidates as the 2017 changes are added to the CPA exam. Thankfully, the changes aren’t actually going to be THAT bad. Well, if you don’t study the right way it might be rough… but Surgent CPA Review and I (your CPA exam guide) have your back! 1) Will you need to have a strong understanding of the material? 2) Will simulations play a stronger role in your grade? 3) Are the CPA Review Courses (Surgent CPA included) adapting to these changes? 4) So, how does this new reality effect you and how you study? And I will explain in a moment why this is crucial for the 2017 changes. So my challenge for you today is to forget your % correct dashboard. Focus on identifying the WHY and start tracking the areas you don’t fully understand. And if you feel like you have already memorized all your multiple-choice, it might be time for a new test bank. Especially one that can assist you in monitoring your strengths and weaknesses so you can know exactly what you’ve memorized as oppose to what you understand. FYI – Surgent CPA Review’s test bank can help! Because when you learn to understand instead of learn to memorize, this whole exam gets a lot easier. What are these CPA Exam changes going to look like? So what does this mean for us as we create our study plan for 2017? It means that it is more crucial than ever to be efficient. And by efficient, I mean you need to cut out all of the busy work from your daily study routine that is holding you back from grasping the material. Example: I spent hours and hours writing out detailed notes from the textbook when the reality was that pre-made flashcards were just as effective and cost me zero time to create. End result: I was spending countless hours on an activity that was holding me back from learning efficiently. Your CPA Review Course gives you all the tools you need to pass, but it’s up to you to determine how to best use these tools effectively so that you can be fully prepared. Best of luck in 2017 future CPAs! Disclaimer: Bryan Kesler is an affiliate of Surgent CPA Review.